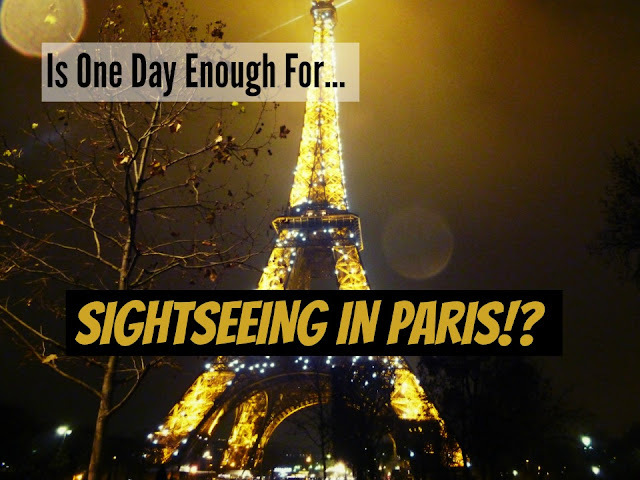 Home cheap travel day trip France Paris Is One Day Enough For Sightseeing In Paris? Is One Day Enough For Sightseeing In Paris? Paris: quite possibly the most romantic city in the world. 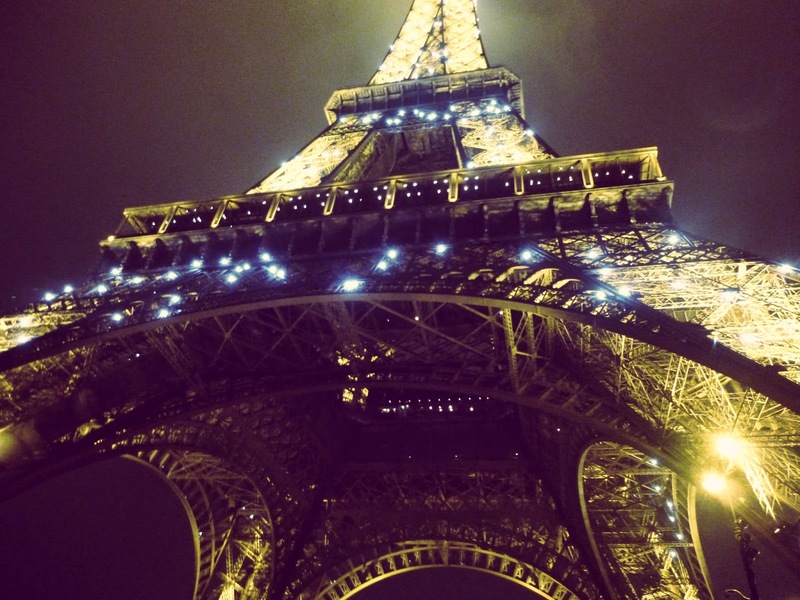 Seeing or climbing the Eiffel Tower is often one of the top 5 things to do on people's bucket lists. But there are a lot of cool cities to visit in Paris, and if you're pressed for time, can you see all the sights in Paris in just one day? 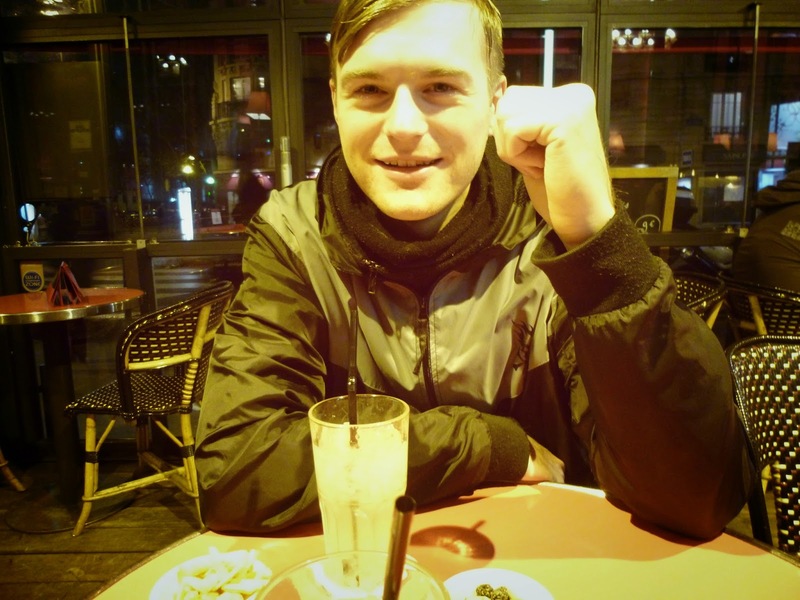 We spent Monday in Cologne, took the overnight bus to Paris, spent a day in Paris, stayed in our first Airbnb and took the bus back to England the next morning. 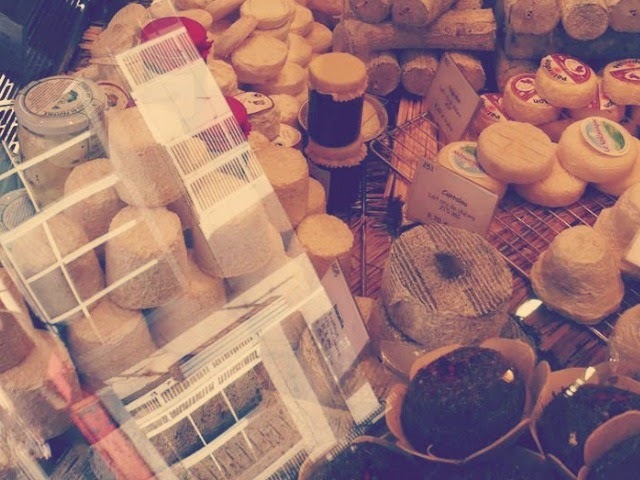 So how should you spend just one day in Paris (if you're on a tight budget)? I don't think there is anyone who would go to Paris and not see the Eiffel Tower (please correct me if I'm wrong). 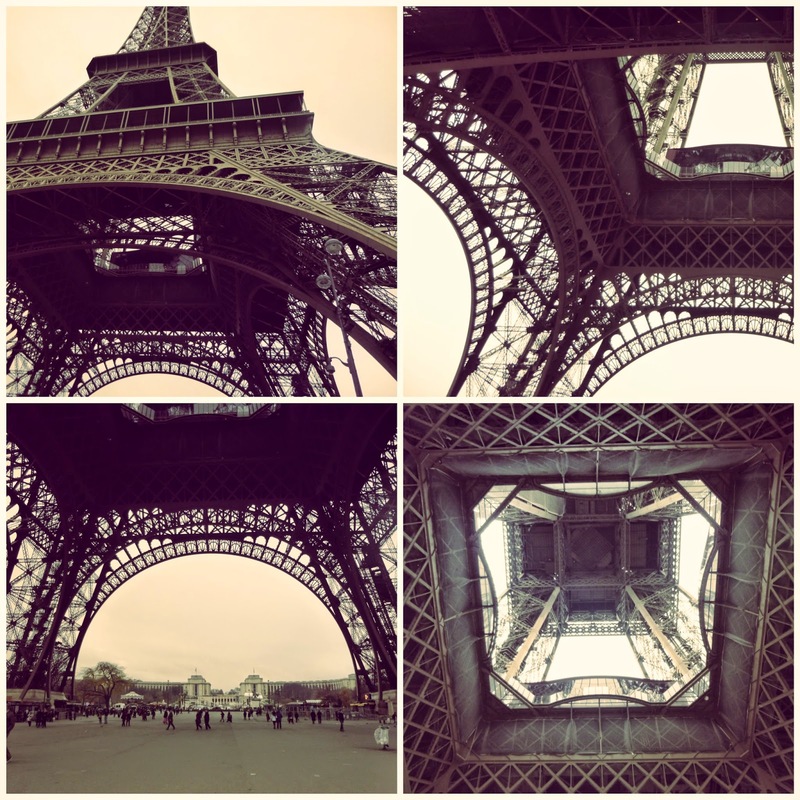 It's one of the most iconic sights in the world, you just can't miss it if you go to Paris - I won't allow it! It was a cold day - and no doubt colder and windier the higher up you were. We think that if you want to see a great view of Paris, surely you want the Eiffel Tower to be in that great view? It's kind of expensive - about 15 Euros per person, which isn't a lot if it's top of your bucket list, but is a lot if it isn't. If that makes sense.. But the Eiffel Tower is still great to just look at (and free). I've only ever been there in summer before and whilst the weather is a lot lot colder in winter (obviously), it was also a lot lot less crowded. Win win if you like the cold! We found a way to solve this awful problem, though you have to not be on a budget. We spotted a couple who had hired a photographer!! He just followed them round and took excellent photos of them. Bit jealous. You can easily spend an hour walking round the Eiffel Tower, marvelling at its marvellousness and trying (failing) to take an original picture. After we oohed and aahed at the Eiffel Tower and took a billion pictures, we ambled off up a side street looking for the best thing about France: THE FOOD. We walked for about 15 minutes or so, because whilst almost all food in Paris is great, the closer it is sold to the ET, the more expensive it is. We drooled and dribbled at beautifully handcrafted treats and after I dragged Tanbay away from a two tiered cake we finally settled on the two beauties above. 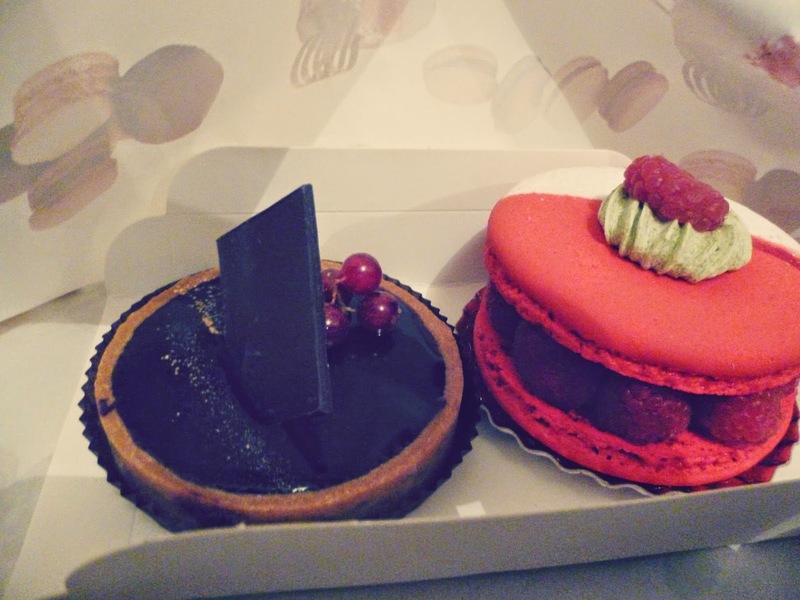 We chose a super big one this time with whole raspberries in the centre and, like the tart, it did not disappoint. After we'd spent ages picking out the perfect pudding, it was time to concentrate on the main course. If you're only having one meal in Paris then it should most definitely be French stick with cheese. YUM. The sticks are normally about 1 Euro and they are the perfect bread. So much less dense than the french sticks you get in England/Germany. The cheese of course is great too, and most of it is on the stinkier side (which is good). Just buy a whole cheese and eat it like an animal with your bread (or get a plate and knife, whatever). We complimented our picnicy type meal with apples. Tanbay didn't want an apple and tried to trick me into agreeing by saying "but I don't want any food that isn't French whilst I'm in France". Then I pointed at the apple label which said 'grown in France'. The only thing missing from our epic meal was wine. So when the sun went down we went out looking for wine. Wine is cheap and excellent in France. But we found cocktails instead and after reading the description of a French 75 (Gin, Lemon juice, Champagne and sugar) we forgot all about wine. I doubt 'French 75' originated in France, but I was so excited that I understood 'Canne à Sucre' I didn't care. 5. 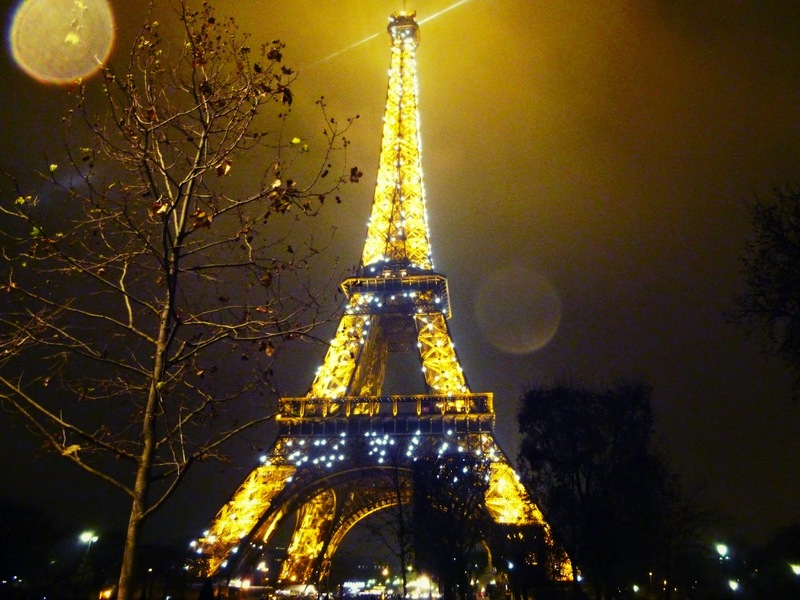 The Eiffel Tower at Night! If the weather is rubbish (i.e. 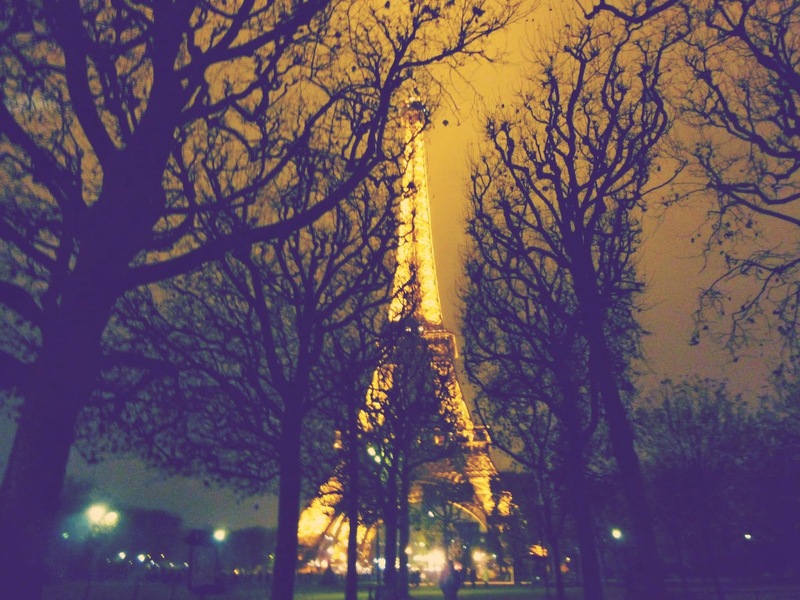 all winter in Europe) take your iconic photos at night! It looked so much better! Small warning: There are some guys who hang around the Eiffel Tower trying to sell you plastic Eiffel Towers for 30 cents or something. They can be a bit pushy, but if you firmly tell them no and don't smile at them they go away. At night though they seemed to be even more pushy, so we resorted to crossly talking at them in German, until they went away. Anyway, despite the Vautours, the Eiffel Tower was so beautiful at night, and at 8pm some more lights came on and did a dance and that was exciting. We definitely preferred the Eiffel Tower at night. 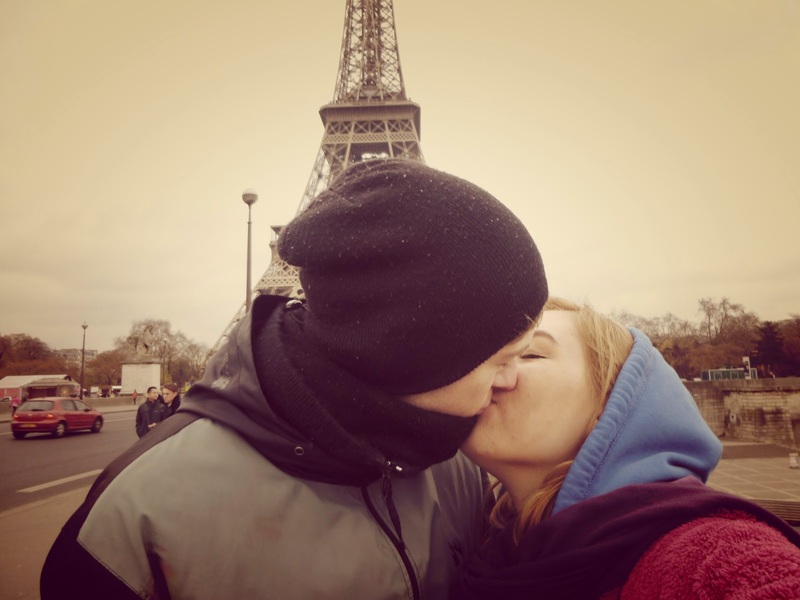 All in all, our Paris trip was really sweet, really cheap and pretty romantic. 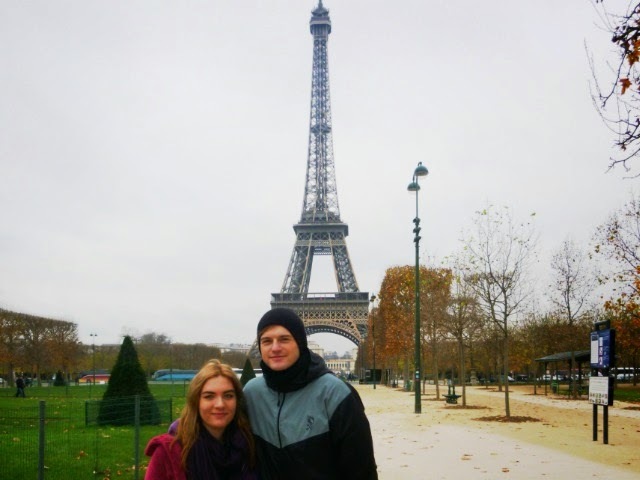 Paris is the best and we will definitely be back again! It's quite hard to compare it to our Amsterdam Trip. In Amsterdam we did a lot more but were also a lot more tired! P.S. If you have any questions about Paris, let us know! !